The Pelvic Girdle continues to provide the busy clinician with the latest evidence and clinical tools/knowledge to immediately impact and enhance daily practice for the management of lumbopelvic-hip pain and disability. 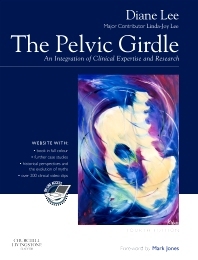 This fourth edition has changed fundamentally in presentation and content to provide the clinician with the evidence and clinical tools for effective practice. The new model presented in this edition - The Integrated Systems Model and the Clinical Puzzle - co-developed by Diane Lee & Linda-Joy Lee, facilitates effective clinical reasoning, hypothesis development and prescriptive treatment. It is highly unlikely that there will ever be enough research evidence to me the needs of a clinician who is faced with patients presenting with a wide and variable range of single and multiple impairments every day. Clinical expertise (knowing how to do the right thing at the right time) comes from disciplined, reflective practice and it is hoped that this text will help more clinicians become expert in this field. Diane Lee & Associates, Consultants in Physiotherapy, Surrey BC, Canada.